Self adhesive. For heating and ventilation. 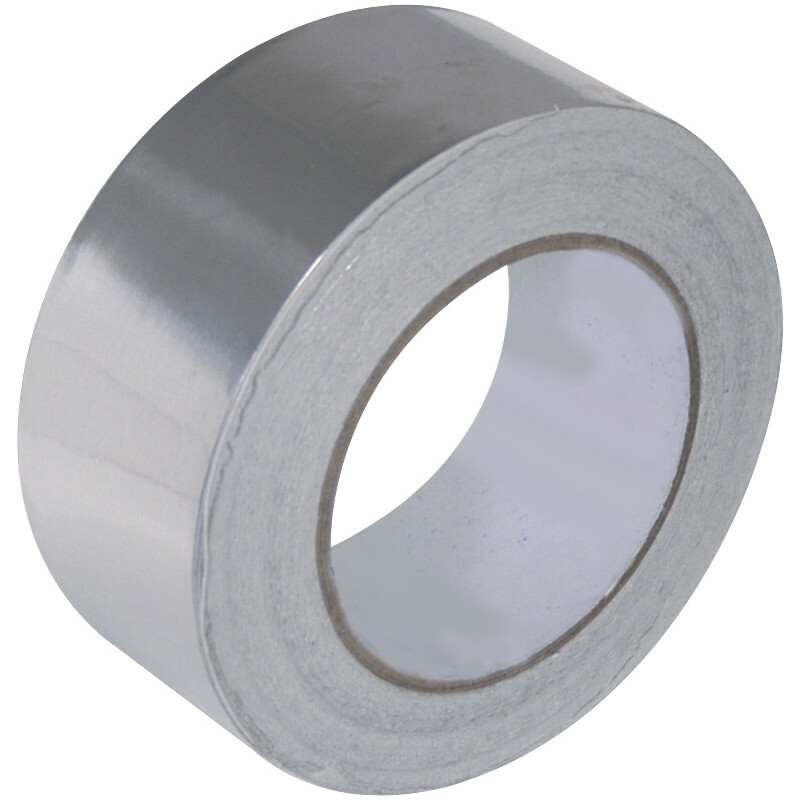 Aluminium Foil Tape 50mm x 45m is rated 4.8 out of 5 by 32. Rated 3 out of 5 by MJNewton from Possible not genuine Ultratape? Previous rolls carried the Ultratape branding both on the outer shrinkwrap and on the inside of the roll but the last roll I received was completely blank (just like the catalogue photo in fact). It doesn't seem quite as malleable as the previous rolls and so I am wondering if the supplier has changed but the catalogue hasn't been updated - have raised a query with TS to see if this is the case. Arguably still good enough, just not the genuine article if my suspicions are correct. Rated 5 out of 5 by Carlr from Excellent Product Excellent product, Great Price and did the job of stopping heat transfer to a control unit. Rated 5 out of 5 by ADAV from Sticks well This is a good quality aluminium foil tape that sticks well. Rated 5 out of 5 by Who cares 123456788 from It does what it says on the tin. Nice and sticky, sticks to wood and insulation boards nicely. Wide enough to cover struts and join both side of the insulation boards. Rated 5 out of 5 by Anonymous from Good Quality Having used many different brands of this foil tape you do get what you pay for... A tough quality product one of the better ones on the market definitely recommended. Rated 5 out of 5 by ROB 1 N from Not the first time we've bought this tape We installed a new biomass boiler for our head office and site last year and needed to insulate the new heating pipework of course. This tape has proven to have excellent adhesive properties and we recommend it. Rated 5 out of 5 by Matt Chandler Terry from Great for laminate flooring underlay Brought some rolls to join laminate flooring underlay was easy and quick to use and did the job well. Cheaper than any other one that I could find too, Great product.